Like its more famous rivals, however, it took some time for the Mikhailovsky to find its true role. 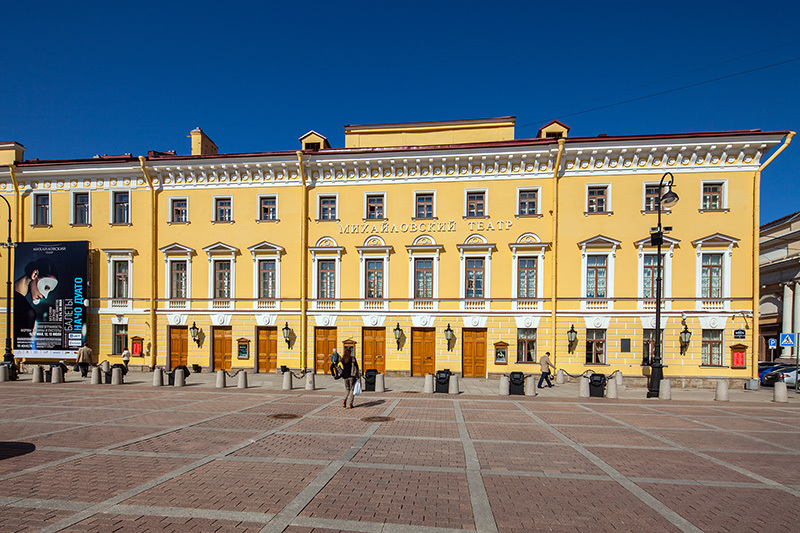 Built 1831-1833 by Alexander Brullov, the building formed a part of Carlo Rossi's grandiose plan for the Mikhailovsky Palace and the square in front of it - now Ploshchad Isskustv ("Arts Square"). In order not to draw attention away from the palace, Brullov created a plain and simple neoclassical exterior for the building, saving his efforts and imagination for the theatre's richly decorated interiors. These feature all the trappings of 19th century luxury - silver, velvet, mirrors, and crystal chandeliers - as well as a unique ceiling mural by the Italian artist Giovanni Busato depicting "The victory of the powers of enlightenment and science over the dark powers of ignorance". The latter dates from 1859, when the auditorium of the theatre was enlarged by Alberto Cavos, chief architect of the Directorate of Imperial Theatres.The theatre, like the palace, was named after Grand Prince Mikhail, brother of Nicholas I. 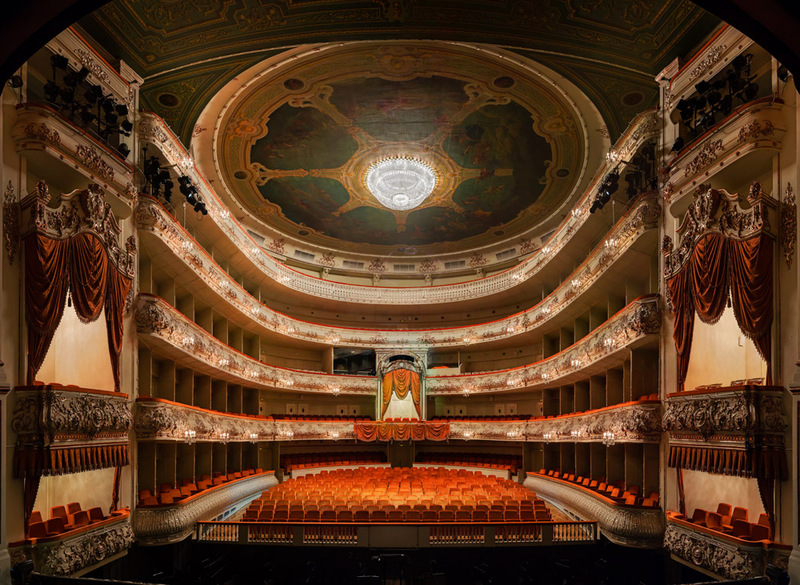 When the theatre opened, it did not have its own troupe, but was used to stage performances by St. Petersburg's French Theatre, as well as plays and operas in German, Italian and Russian, and concert performances from visiting foreign artists, among them Johann Strauss. It was only with the arrival of the Bolshevik government that the theatre began to develop its own company. 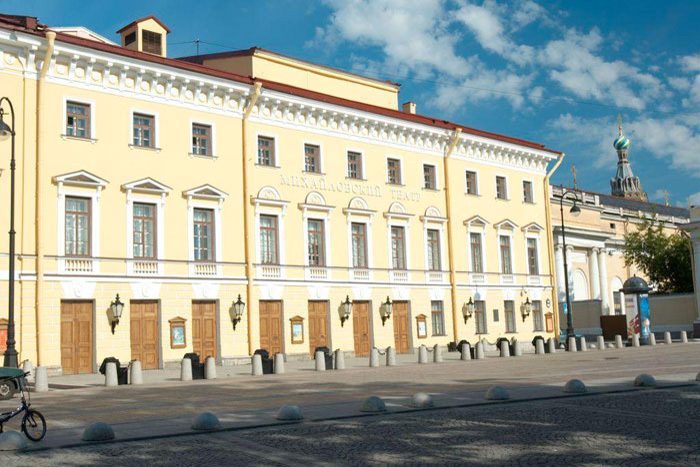 Under the patronage of the influential cultural commissar Anatoly Lunacharsky, the theatre became the Leningrad State Small Opera Theatre, its remit to work as "a laboratory of Soviet opera". 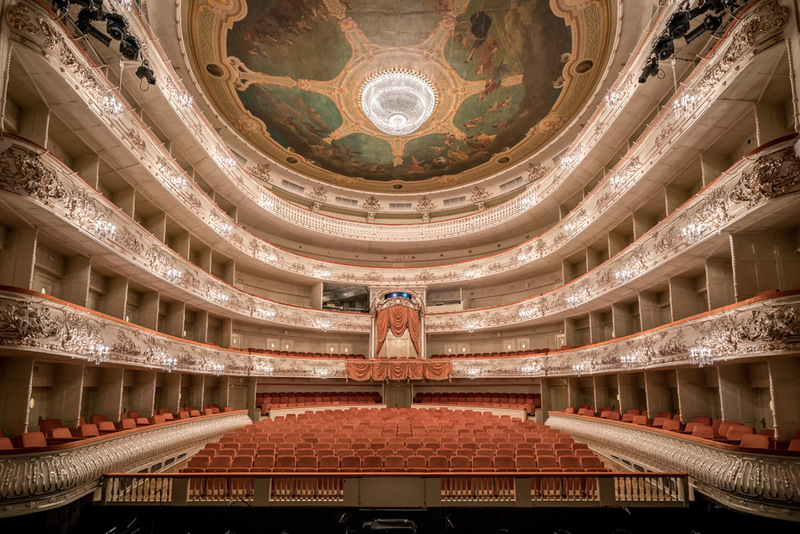 As such it hosted the premiers of many of the great operas of the period, including The Nose and Lady Macbeth of the Mtensk District by Dmitry Shostakovich, Sergey Prokofiev's adaptation of War and Peace, and Vsevolod Meyerhold's renowned production of Tchaikovsky's Queen of Spades.Today, with its opulent interiors and historic name fully restored, the Mikhailovsky pursues a less avant garde direction, with the majority of its repertoire consisting of classic ballet and opera of the 19th century.